Product || JK Scrap Traders , Wholesaler of Hand Press Machine, Drill Machine & Hexo Cutting Machine in Ahmedabad, Gujarat. 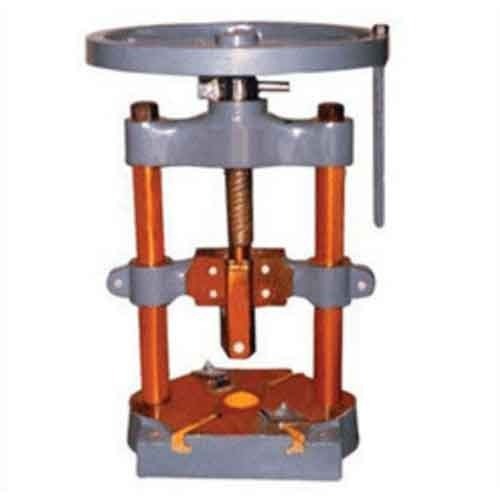 We are a leading Wholesale Trader of Hand Press Machine from Ahmedabad, India. With sincerity and dedication of our skilled procuring agents, we have carved a niche for ourselves in this industry by providing Hand Press Machine. Being well known traders, we are engaged in offering an extensive range of used hand press Machine to fulfil the needs of our clients. The complete range of our products is bought by the trusted and authentic dealers of the industry. In addition to this, it gives a fine finished cutting effect, is dimensionally accurate and compact in design. We "J.K. Scrap Traders", are betrothed in trading a high quality assortment of Lathe Machine, High Speed Agitator, Gear Motor, Chain Pulley Block, Gear Box, Shearing Machine, Hydraulic Press, Power Press, etc.